Schalke vs Wolfsburg predictions ahead of this Bundesliga clash on Sunday. Wolfsburg aim to boost their top four hopes with a win on the road. Read on for our latest betting tips and full match preview. Schalke have a Champions League last 16 clash with Man City on the horizon, but their hopes of returning to the competition next season look slim. They kick-off the second half of their campaign 10 points shy of fifth-placed Wolfsburg, leaving them way off the battle for the top four. It’s set to be a disappointing campaign for Schalke, who had an impressive run in the league last season. Will they see a brighter start to the New Year, or are they set to struggle when they host Wolfsburg? The hosts have struggled to impress this season, and they came through an understrength Champions League group while sitting on the edge of the drop zone in the Bundesliga. They have climbed the table slightly since then, but Schalke haven’t exactly turned a corner. They have one of the league’s worst home records, as they’ve picked up as many points at their own ground as bottom side Nurnberg. Will they add to their paltry tally this weekend, or are Wolfsburg going to boost their own European ambitions? The visitors have put themselves in the race for the top four this term, in part due to some fine form on their travels. They finished the league campaign on a high in 2018, a year which saw them in relegation danger. The visitors have won the relegation play-offs in the last two seasons, but they’re not going to face that fate this time around. The Wolves are only five points shy of their haul from the entirety of last season, and they’re set to pass it soon enough as they continue to push for the top four. While Schalke have been struggling, Wolfsburg have been in fine form. They’ve won five of their last six games, a run which has seen them meet European rivals Leipzig, Frankfurt and Hoffenheim. They’ve got the best away record outside of Bayern and Dortmund in the league, with five victories in eight trips. The visitors have won five of six meetings with the bottom six this season, including the reverse meeting between these two. Schalke have lost three of their last five Bundesliga games at home, winning just one of their last five in the league. As a result, we see the away side pulling off a result here. They’ve avoided defeat in all but two of their trips, while Schalke have five wins in 17 games this term. Despite that form, Wolfsburg are well priced to avoid defeat in this trip. Schalke (42) and Wolfsburg (39) lead the league as far as bookings are concerned in 2018-19. 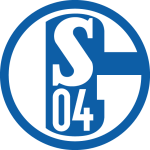 Schalke beat Stuttgart 3-1 last time out. They’ve racked up 18 points this term – their worst tally after 17 Bundesliga games since 1998-99 (also 18). Schalke have lost five of their opening eight Bundesliga home games of 2018-19 season – their worst ever tally at this stage of a top-flight campaign. Schalke are the only Bundesliga side yet to drop points after leading this term. However, only Nürnberg (4) have gone in front less often than Schalke (5) in 2018-19. Wolfsburg have won three straight Bundesliga games within a single campaign for the first time since December/January 2017. They haven’t gone on a longer such run since February/March 2015 (four under Dieter Hecking). Wolfsburg have 28 points on the board – their fourth-best tally after 17 Bundesliga games. They haven’t been better off at this stage since 2014-15 (34; finished 2nd). Wolfsburg have claimed 16 away points this term – their best-ever tally after eight Bundesliga away games. They have won each of their last three on the road – one short of the club record. Wolfsburg have scored a league-high eight goals from counter attacks this term, including Yannick Gerhardt’s strike as they beat Augsburg 3-2 last time out.